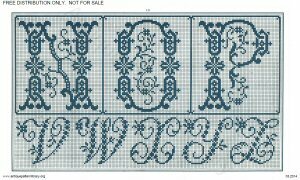 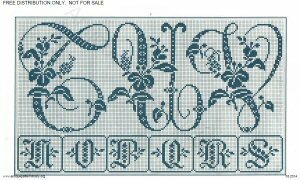 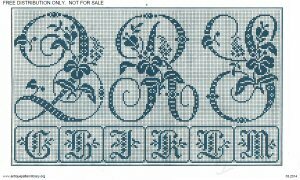 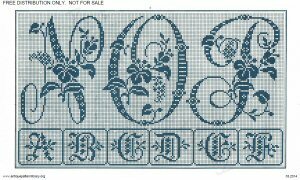 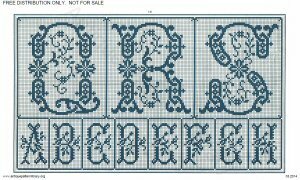 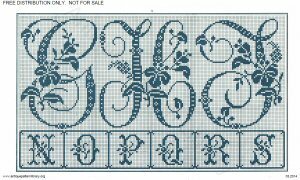 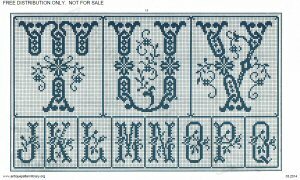 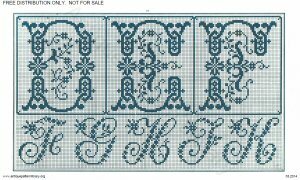 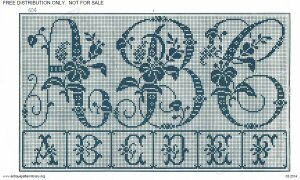 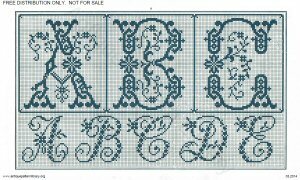 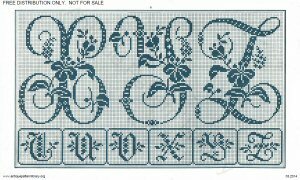 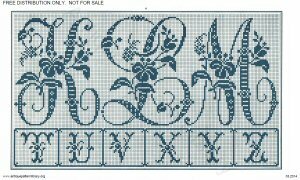 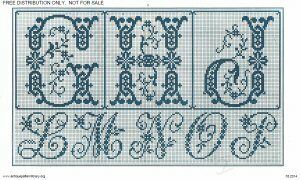 Charted monochrome designs for two very large and ornate alphabets intended for monograms. 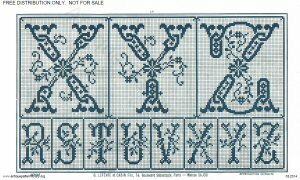 Also includes charts for four smaller but no less embellished alphabets. 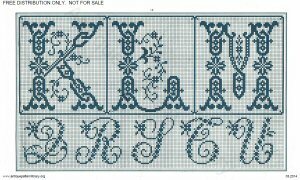 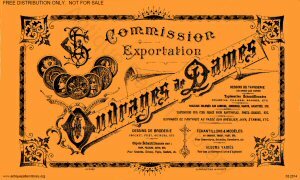 Styles include script, serif, and blackletter. 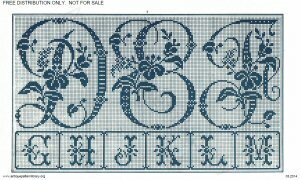 Scans donated by Sytske Wijnsma,edited by Judith Adele.